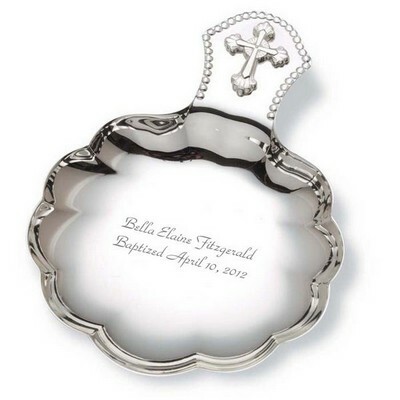 This beautiful Baptism ornament already holds so many special memories. 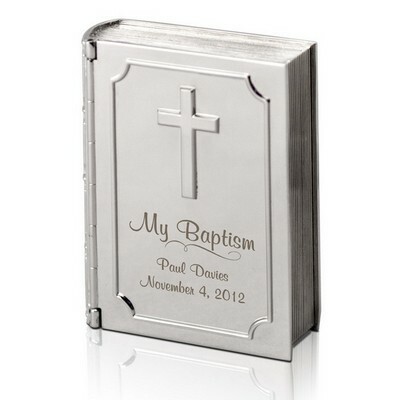 Baptism is a monumental beginning, signifying the embarking on of a spiritual journey throughout one's life. 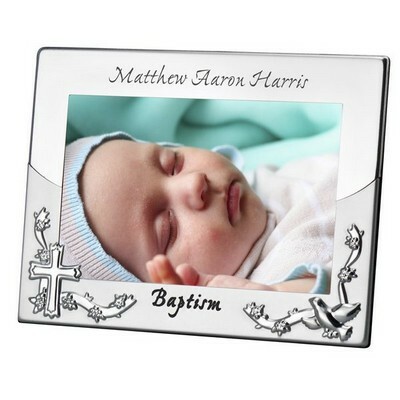 You can show your support and commitment to spiritual guidance by giving this personalized glass cross Christmas ornament to that very important boy or girl. 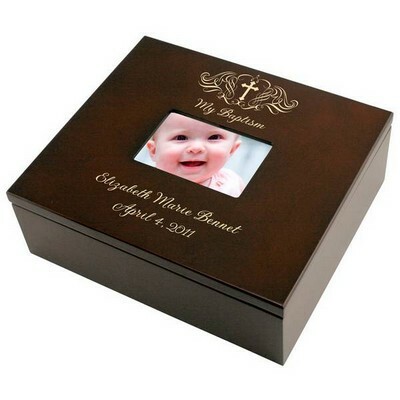 The Christmas season is a truly special time of year to appreciate all that you have. 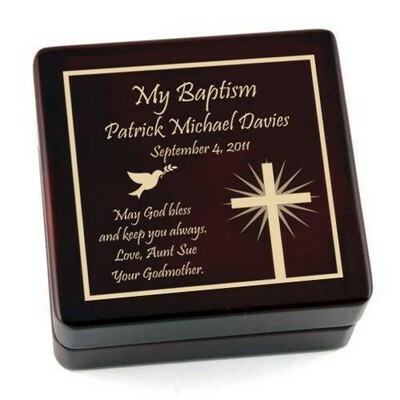 We hang ornaments on our tree to remind us of everything that is meaningful to us; by hanging this baptism keepsake with the gold ribbon on your tree you can remind yourself every year of your devotion and path in life. This Baptism Christmas ornament marks such a significant moment and day in someone very special's life. 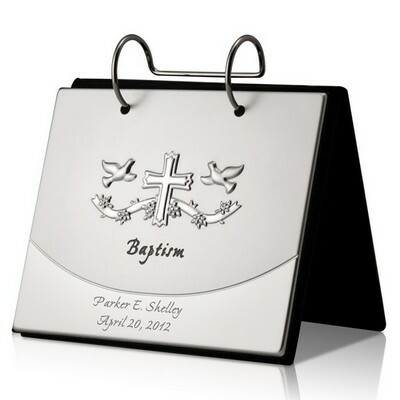 This personalized Baptism cross can show how much you care by having the name and date of your choosing laser engraved on the glass. 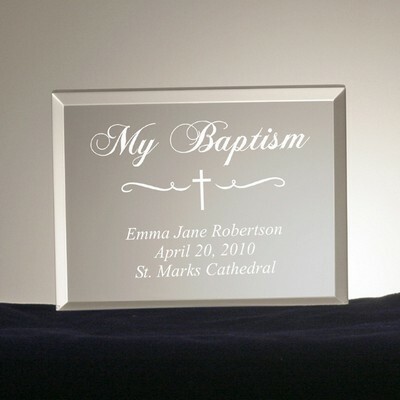 The elegant glass cross measures 3 1/2" x 4 1/2" and is 1/8" thick. 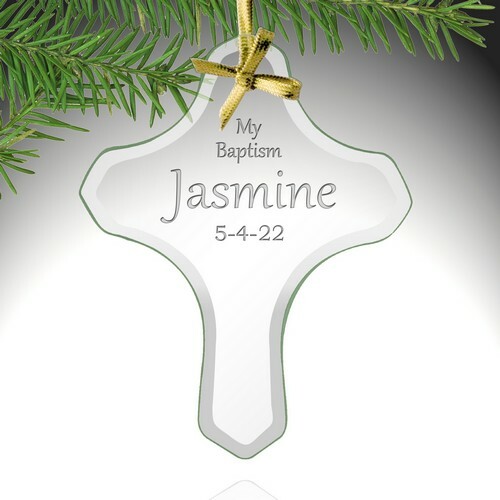 This is a strikingly graceful ornament to be hung on your tree with care, and the absolute perfect Baptism gift for godparents to give on that special day. 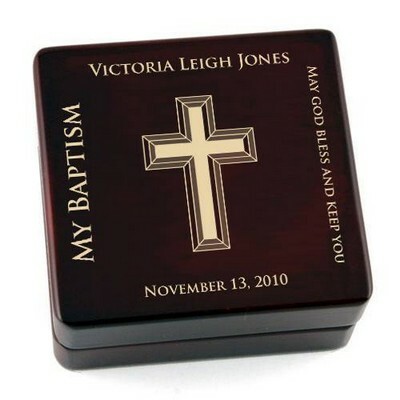 My Baptism personalized cross ornament is the perfect gift for any special boy or girl. Comments: Beautiful ornament! Was very happy with the quality should bring lots of years memories. 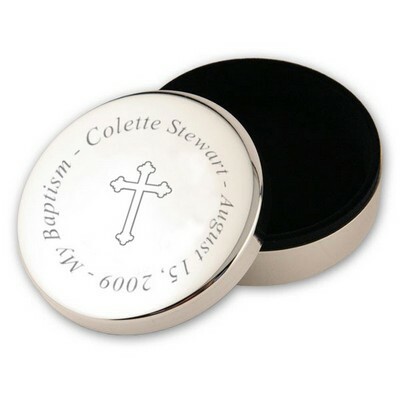 Comments: My niece is going to be baptized on Easter this year and I already have a few gifts to give her but I couldnt resist on giving her one more gift. 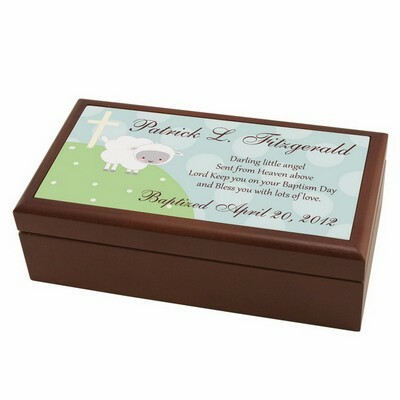 I ordered it and I love it! This will add a nice touch to their christmas tree this year.